Keys facts and a timeline of events surrounding the robocalls scandal. Former Conservative staffer Michael Sona was found guilty Thursday of one charge under the Elections Act Thursday for misleading robocalls made to voters in Guelph, Ont. during the 2011 federal election. Sona is the only person to be charged over the calls that directed voters to the wrong polling stations. The Guelph case was not the only court battle over allegations of misleading calls during that election. The Commissioner of Canada Elections received more than 40,000 general communications and complaints about robocalls after the 2011 federal election. But most were from people who said they had not actually received an inappropriate call, but wished to express concern that these kinds of calls had taken place. On polling day, May 2, 2011, hundreds of calls purporting to be from Elections Canada and giving erroneous poll information were made in the riding of Guelph. Investigators linked the calls to a pay-as-you-go cell phone belonging to a non-existent subscriber, identified only as "Pierre Poutine." Most of the complaints to the commissioner came after news stories were published about the robocalls investigation. People from seven ridings went to Federal Court asking that the election results in those constituencies be overturned because of robocalls. One case was dropped, six proceeded. A Federal Court judge eventually concluded that fraud was a factor in the robocalls, and that the Conservative party database known as the Constituency Information Management System, or CIMS, was likely the source of the contact information used, but said that was not enough to overturn the election results. One person, former Conservative staffer Michael Sona, was charged with having wilfully prevented or endeavoured to prevent an elector from voting in connection with the Guelph robocalls. Sona was found guilty Thursday, and will be sentenced in October. March 26, 2011: Campaigning begins for the May 2 federal election. During the campaign, the commissioner of Canada elections gets about 100 complaints about nuisance phone calls or calls offering incorrect polling locations. April 29, 2011: Returning officers in some ridings hear complaints about calls giving incorrect poll information. May 2, 2011: Hundreds of calls purporting to be from Elections Canada and giving erroneous poll information are made in the riding of Guelph. Investigators link the calls to pay-as-you-go cell phone belonging to a non-existent subscriber, Pierre Poutine. May 11, 2011:CBC News first reports that Elections Canada is investigating allegations of misleading robocalls. CBC News posts a recording of one of the automated calls. A voice mail message reached by CBC News at a number associated with the calls includes the name "Pierre." Feb. 23, 2012: An Ottawa Citizen report says an Elections Canada investigation has traced misleading robocalls to an Edmonton company. March 23, 2012: People from seven ridings go to Federal Court seeking to overturn the election results over the robocall issue. The case in one riding is dropped, six proceed. March 29, 2012: The Chief Electoral Officer appeared at a Commons committee and reports that the number of complaints alleging specific occurrences of improper or fraudulent calls was near 800. 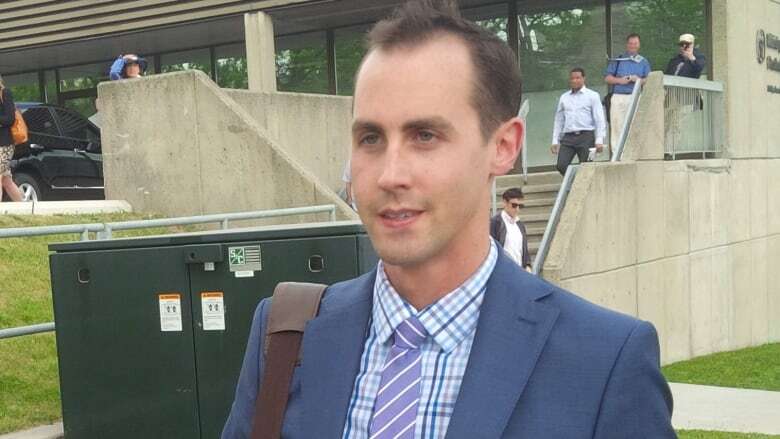 April 2, 2013: Former Conservative staffer Michael Sona is charged with having wilfully prevented or endeavoured to prevent an elector from voting. May 23, 2013: A Federal Court judge finds fraud was a factor in the robocalls, and cites the Conservative voter database known as the Constituency Information Management System, or CIMS, as the source of the contact information used, but says it is not enough to overturn the election results. April 24, 2013: The commissioner of Canada elections reports his office received 40,000 communications from Canadians about robocalls, although 96 per cent expressed concerns about robocalls without making any specific references to such calls. The report says the number of calls spiked dramatically as more media stories on robocalls appeared. June 2, 2014: Sona's trial gets underway in Guelph, Ont. His lawyer, Norm Boxall, elects not to call any witnesses at the trial and argues that the Crown failed to definitively prove that his client was involved in the scheme. August 14, 2014: Sona is convicted. After a long recounting of the trial's testimony, Superior Court Justice Gary Hearn says he was convinced "well beyond a reasonable doubt" of Sona's guilt. Mobile users, see the timeline graphic here.